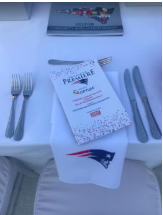 One of the most exciting highlights of the evening was when Jim Holzman, CEO of ACE Ticket, placed the highest bid for the event’s most popular auction item: Tom Brady’s locker! 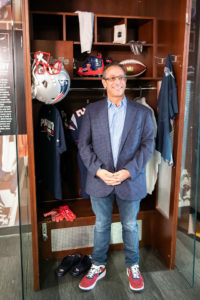 While Tom may have been ready for a new locker after all these years, the Kraft family recognized it as an important piece of sports history and Jim was thrilled to acquire this unique memorabilia and, at the same time, support the New England Patriots Foundation. 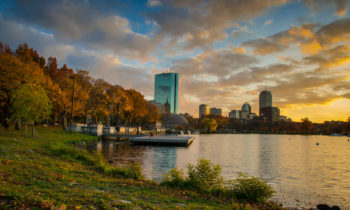 The New England Patriots Foundation, established in 1994, supports charitable and philanthropic agencies throughout New England, with a special interest in youth programs that encourage education, creativity, and development of character. 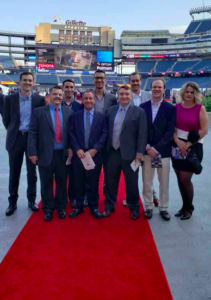 Each year, the Kraft family kicks off the season with a red carpet gala held under the lights on the field of Gillette Stadium. At this year’s gala, the Ron Burton Community Service Award was given to Joe Cardona, the 16th Patriots player to receive this prestigious award and the first to do so while also serving in the United States Navy. ACE Embrace is the philanthropic arm of ACE Ticket. 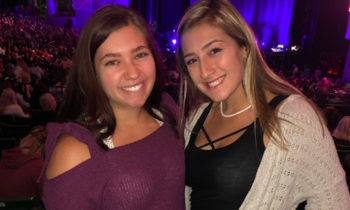 In addition to donating thousands of tickets each year to youth, veterans, and other service organizations, ACE Embrace donates tens of thousands of dollars to local charitable organizations that support communities across New England. WATCH THE VIDEO FOOTAGE OF THE ARRIVAL OF TOM BRADY’S LOCKER TO ACE TICKET HEADQUARTERS HERE!